Saint George‘s Day, a day when England shows its pride in being English and everything England. The day always brings a smile to my face every year at all the so-called patriotism of those people who ‘celebrate’ this day and the irony of it all. The same goes for St Patrick and Ireland as he was Cornish or Welsh; most probably the former but most certainly a Briton; having been kidnapped by Irish raiders who he then converted and had them under his spell. But at least he existed whereas St. George most likely didn’t. 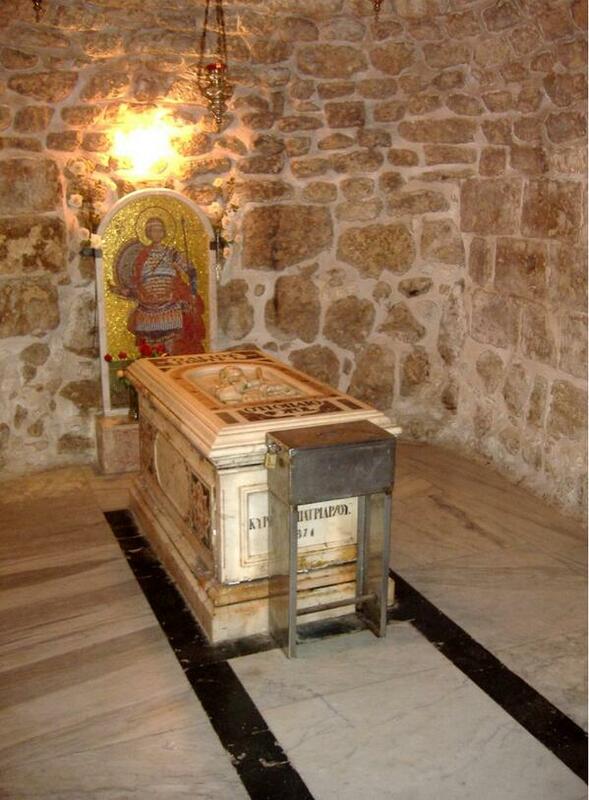 There is no proof at all about St George except for a tomb in Lydda not far from where he was supposedly born. Anyone could be buried in this tomb and many claim to have his remains in their country. He is a patron saint to in many countries; over forty I think but don’t quote me on that and it seems he was celebrated there long before dear old England. Countries who venerate him include Aragon, Catalonia, Georgia, Lithuania, Palestine, Portugal, Germany and Greece; and of Moscow, Istanbul, Genoa and Venice who place him second only to St Mark. Some celebrate him on April 23rd and others in May. He is revered in Christianity and in other religions and cultures for he stood against tyranny and persecution which is no bad thing, but from what I have been reading up about him, most claim George to be fictional or at the very best a possibility but there’s no real evidence; just blind faith. So if he was real then who was he? 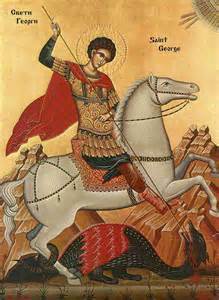 Saint George was said to have been born around 275/281 and died 23 April 303 AD. He was Greek who became an officer in the Roman army. His father was also Greek, named Gerondios from Cappadocia Asia Minor and his mother was from the city Lydda which was a Greek city in Palestine from the times of the conquest of Alexander the Great at around 333 BC. Saint George became an officer in the Roman army in the Guard of Diocletian and went to fight for the glory of Rome until one day he saw Christians being persecuted. He decided not to tolerate this and went against all those who treated Christians so harshly and in doing so he endangered his own life, tortured and decapitated, becoming venerated as a Christian Martyr. 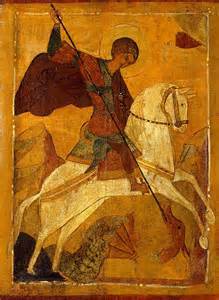 In hagiography, Saint George is one of the most venerated saints in the Catholic belief in both Western and Eastern Rites, Anglican, Eastern Orthodox, and the Oriental Orthodox churches. He is immortalized in the tale of Saint George and the Dragon and is one of the Fourteen Holy Helpers. His memorial is celebrated on 23 April, and he is regarded as one of the most prominent military saints along with Saint Alban, who was truly British and real. As for the famous duel with the Dragon; most agree this was a work of later fiction and it is more than likely that if he did exist then the Dragon was probably a warrior/warlord or even a King or Emperor; more than likely Diocletian who he railed against with the persecution of Christians in the army which eventually led to his execution. Possibly it could even be a name for an army or regiment of some kind? As much as I would have liked Dragons to have existed at that time I doubt very much he fought one or anything of the sort at all. There is so much research out there on him and so many stories about him but like many myths and legends; even the Bible itself, most of it was written after the event and cannot be proved as fact. It is more than likely that Saint George was many people made into one; a mythical hero, or he was nothing at all and just used as a propaganda ploy to control the masses to help in the cause of Christian belief but today in England his standard and even his name stand for something a little more sinister thanks to in part football, the English Defence League (a disgusting racist political group that claims to have England’s best interests at heart) and the BNP who are like the EDL and hated by most of us in the UK. It seems to be about ignorance now and not education and the same goes for many things in life linked to history and politics. Personally I think England should lose Saint George and replace him with Saint Alban who was very real. I was once told that in every myth and legend there is a basis of fact so who knows but on that theory then Robin Hood, Cú Chulainn, Merlin and King Arthur are very real; just their stories have been exaggerated and changed so many times that the truth has been lost. I myself am a believer in Arthur and Merlin/Myrddin but not as myth and fable paints them. One was probably a mighty Warlord fighting off the Saxons, Irish raiders and others whilst the latter was most probably a high druid and advisor. I like to think this of them; true Celts fighting off the tide of greed and invasion, protecting their people as best they can. So how do the English celebrate Saint George’s Day. Some have parties, others head to the pub and a few places celebrate with all things English by way of dancers, music, food and suchlike. 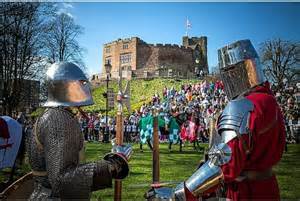 Most just let the day pass them by for in Britain it seems we are not allowed to have a saint’s day like Ireland, Wales and Scotland do, probably because it is deemed racist and offensive and could cause problems with other races and religions. I have a mixture of English, Irish and Welsh through parents and grandparents so I am torn anyway in part and also it gives me an excuse to party three ways if I choose especially on Rugby days. We live in a strange PC world both good and bad which is strangling identity here and I expect in other countries too. It will I hope lead only to good things and not the way it seems to be turning now; a bitter and angry nation that has lost its way. So do I celebrate St. George’s Day? No is the simple answer. I don’t because of the many reasons listed here. If a saint is to be celebrated in this country that was born, bred and maybe died here, then there are many to choose from including St. Alban who was our first patron saint. Others include Saint Amphibalus, Saint Julius and Saint Aaron. I also firmly believe that we should celebrate St. Patrick’s day for he was British anyway. He is ours as much as the Irish. Really though, I don’t believe in this kind of patriotism and maybe patriotism in general for I find it a very dangerous thing. There’s nothing wrong with being proud of where you were born and in who you are but even this can be a very thin line on patriotism. Americans are infamous for being patriots and to most of us around the world it is scary to look at, bordering on religious fervour, second only to those in the Middle East. Mel Gibson made a film called The Patriot which was condemned by many for its historical inaccuracy. Who can forget Braveheart, a film I saw many times but laughed at when I delved into the real history of events. Mel Gibson was on an British bashing crusade and sadly many people out there believed what they saw. Hollywood and the media in general generally aren’t the best resources of history. Scotland is going for independence this year which is a sticky situation anyway and could lead to Northern Ireland either going alone or staying within the UK for they have no wish to rejoin the rest of Ireland simply because of money and medical care, amongst many other things. They have the best of both worlds at the moment so why would they want to change? Is there a possibly that they would ask to join Scotland if it goes independent? After all, it is mainly Scottish anyway and has been throughout its history. The English/British have been caught in the middle of another’s problem and not for the first or last time too sadly. It has ended up taking the blame for many of the troubles and in some cases rightly so. The Easter Rising says it all. If there is to be peace then the hate needs to stop. It’s all about education and that is something that isn’t learned in schools on both sides I think. History is either written by the victors or just eradicated from the curriculum. Many in the UK would rather see Ireland reunified, let the Republic take its share of the national debt like Scotland will have to and fill UK coffers so Britain can repair itself and become strong again on the world stage. If they go independent then why don’t the islands of Britain form a united islands of Britain and become independent as a group? Why not Alaska who should pull away from the USA anyway? Independence and Patriotism go hand in hand and to me are a just a romantic notion that serves no purpose than to put others in power and make them rich and powerful. Groups like the UDF, UDA, IRA, Sinn Féin and others claim to support the people of Ireland but in reality they are only in it for themselves. Patriotism doesn’t put food on the table. Our governments don’t either. WE do. It’s sheep who believe in this and follow others blindly in an act of faith. My home is where my heart is and it’s not in the town I reside. I love my island and all the little ones surrounding it and I love Ireland more than life itself; I just don’t believe and follow in the political and religious rubbish that we’re force-fed from birth to death. I believe in its defence and the brave people who protect it, not those who sit behind desks in the shadows and send them to war for their own personal benefits. Britain is a beautiful island full of many amazing places on the mainland and on is islands. It is rich in culture, heritage and history and has done good and bad in the world. 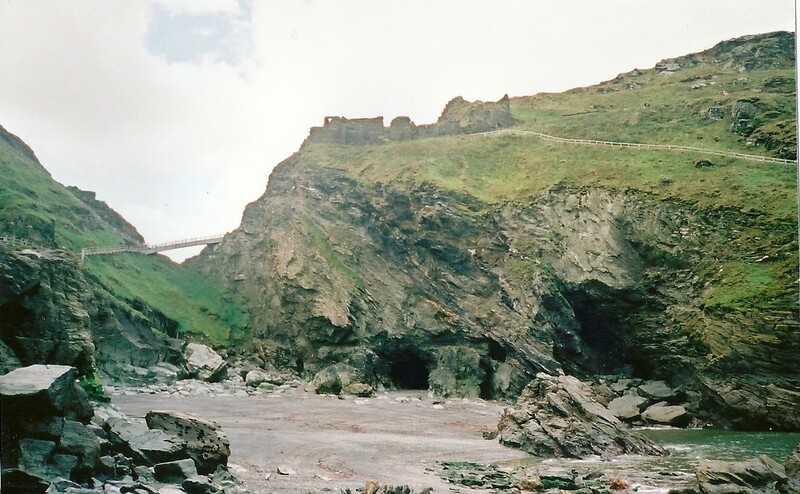 I remember speaking to a guide in Charles Fort in Kinsale, County Cork, Ireland and he asked me how such a small island as Britain became so powerful. The simple answer was ships. Any nation that built ships became powerful. Not so much the case today. It’s nuclear weapons and such-like. If Ireland had built ships and it’s leaders hadn’t fought against each other then maybe they would have their royalty still and history would have been different. Oh, in effect England isn’t really English for it was invaded in 1066 by the Normans in a famous battle at Hastings or nearby. So does that make the English Normans and the country New Normandy? I see myself as a Briton anyway, not British or English. The ironic thing is that we are all Germanic anyway in Britain and Ireland from Celts to Normans. We are all related to a point. So I won’t be celebrating today. The Easter Bunny is more realistic than St. George but I will toast Britain as a whole anyway, hoping for peace and prosperity to all that strive for what is good in this world than those that try to disrupt it with bitterness and hate.